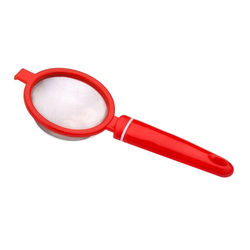 Prominent & Leading Manufacturer from Delhi, we offer plastic steel mesh tea strainer, vegetable strainer, flour atta strainer, atta channi 005, flour strainer and plastic atta strainer. 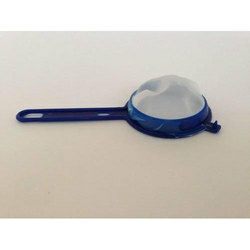 Plastic Tea Strainer made with Stainless Steel Mesh for long life & unbreakable. Perfect strainer for every kitchen. Beautifull colours. 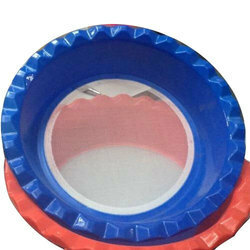 We are Offering Vegetable Strainer. 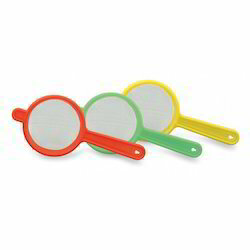 Plastic Colander small . 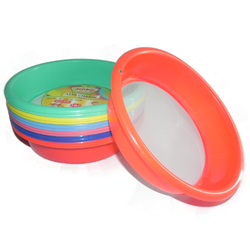 ideal for washing vegetables in kitchen. We feel proud to introduce ourselves as the leading organization as manufacturer & supplier of Flour Sieves. Designed and manufactured using quality tested raw material and latest machines, this product is made available in plethora of designs and sizes as per the specific necessities of valued customers. We offer this Flour Sievesat pocket friendly price to our valuable clients. 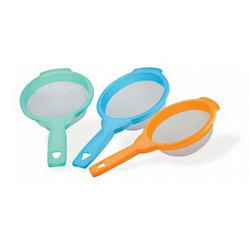 We offer a wide range of Plastic Tea Strainer available in different conical sizes as per the client requirements. 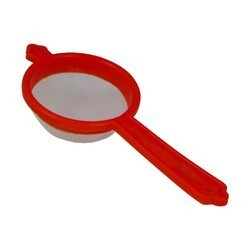 We are leading supplier of Red Tea Strainer available in different conical sizes as per the client requirements. 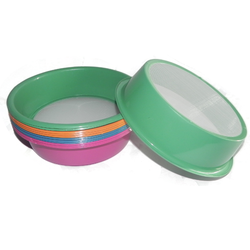 The company is among the prominent Manufacturers and Suppliers of Soup Strainer. 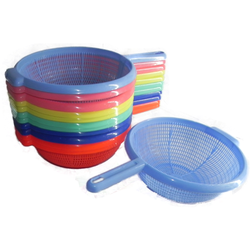 Our Strainer are available in different sizes colors and with different types of sieves. 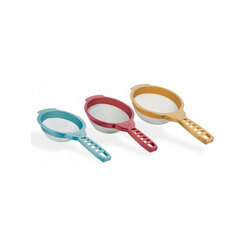 Our Soup Strainerare offered at affordable prices.